As with any surgical procedure, hair replacement surgery entails numerous risks that must be clear to you before you actually go ahead with the procedure. The chances of things going wrong can happen during and after the hair replacement operation and includes infections, scarring and failure of the surgery. The worst that can happen is that the complete procedure can fail, deemed as an unsuccessful surgical process. Well, it entails quite many things such as complete fallout of hair follicles or the transplanted hair follicles die. In other words, it means that the balding spots will remain as no new hair will grow there. Additionally, failure of hair replacement surgery is also termed when there is irregular growth of new hair due to patchy transplantations. Thus, to remedy the unsuccessful surgeries, another hair replacement procedure will be needed. The fact remains, the more surgeries you get done, higher are the chances of scarring and infections. Any post surgical care requires constant monitoring for infections. Even though surgeons and doctors take all care for proper sterilization and after care procedures, infections are common occurrences. The main reasons for this is weaken body and fresh sutures which make the area susceptible to infections. As in any other operation, hair replacement surgical infections are serious as they are on the scalp and in close proximity to the brain. Any spread of such infections can be a serious health hazard. Another disadvantage of this surgical procedure includes mild to major scarring in the areas where the health hair follicles were harvest from and the area were they were transplanted. Having these scars can ruin the look of a perfect hair enhancement procedure. Additionally, to fix the scars may need better cosmetic surgery which in turn would lead to more complications, just like hair replacement surgery. These are just risks involved with hair replacement surgery and need not deter you for seeking improvements. One of the best ways to ensure that these risks are minimized is by seeking treatment from qualified and experienced surgeons instead of trying to save costs and going to a new hair treatment center. Ensure that the doctor you go to has a good track record and history of successful replacement surgeries. All good and experienced hair enhancement surgeons and doctors prescribe antibiotics, after care procedures and constant monitoring to make sure that you have a successful surgery and minimum complications. 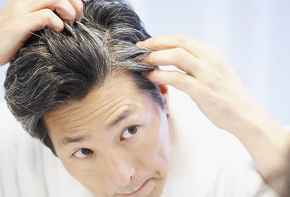 Previous post: Are you a good candidate for hair replacement procedure?